It's been a big week for the Living Seawalls team with the installation of an extensive retrofit to the existing seawall at Sawmillers Reserve. The installation complements the Volvo Living Seawalls initiative at Milsons Point launched on 30th October. 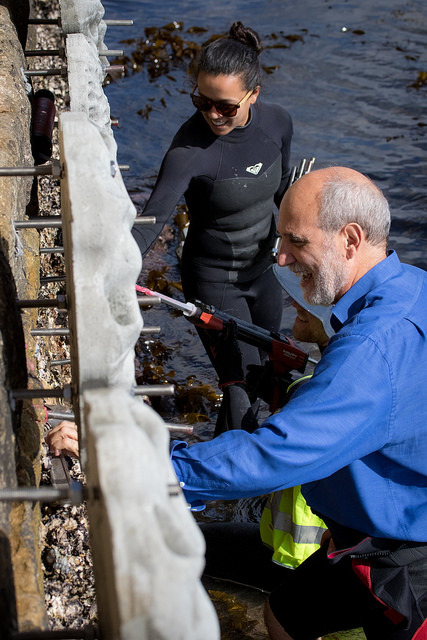 Sydney scientists have been leading the world in the study of the greening of seawalls for more than a decade, and we are really pleased that this research has arrived at the stage where we are now working at a real world scale, in one of the most extensive seawall retrofits worldwide. The tiles designed by Alex Goad from Reef Design Lab in conjunction with SIMS aim to address the challenges of urbanisation, improving marine biodiversity in the harbour by imitating the habitats of natural rocky shores. The latest installation saw 108 of the innovative modular tiles anchored in place at Sawmillers Reserve. Facilitated through the vision of North Sydney Council this Living Seawall installation is the result of a significant collaboration of financial partners - the Harding Miller Foundation, the James N Kirby Foundation, and the NSW Government, with in-kind support from GHD Engineering, and Reef Design Lab. And North Sydney Council have also commissioned a fabulous sculpture for the site allowing the public to better understand the science behind the research. 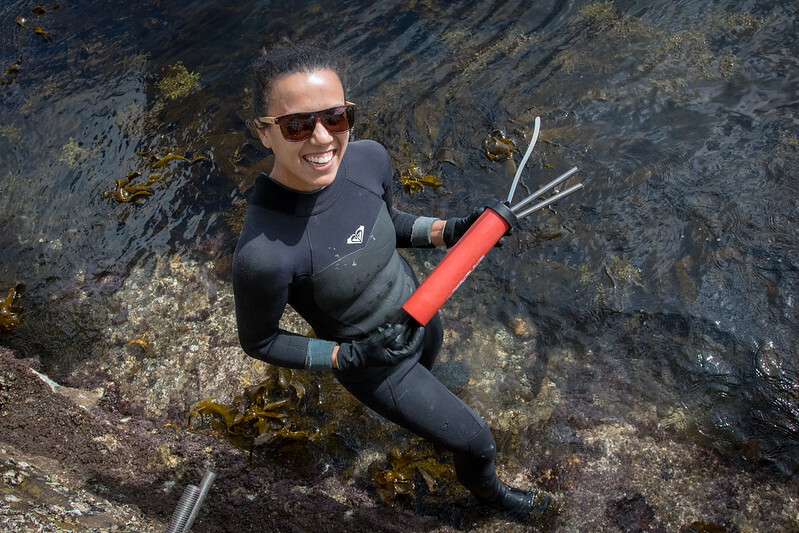 We're excited to begin the monitoring to determine how the different tile designs can facilitate a diversity of marine life from microbes to oysters and we're already working with other councils around the harbour so we can expand the reach of the project.